Yesterday the last group was played and we now have our semi finals line up. It’s Ronnie v Shaun Murphy today, in a rematch of last year’s final, then Mark Allen v Kyren Wilson tomorrow. 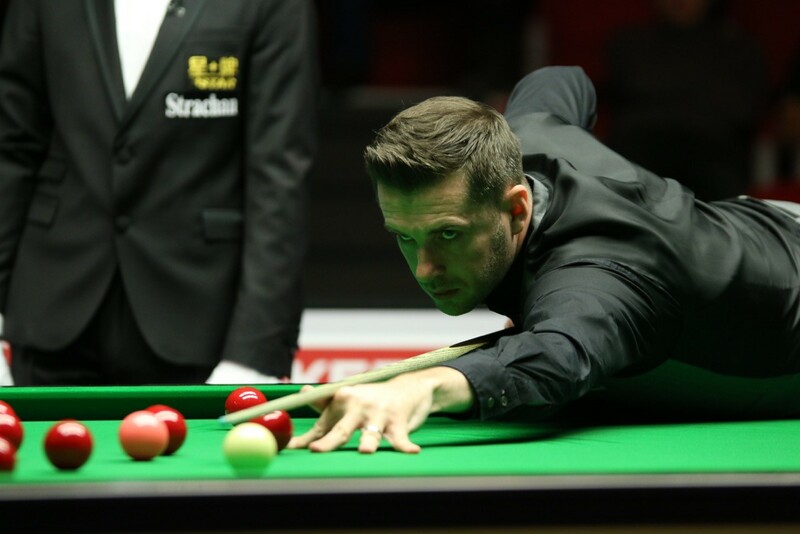 Mark Selby made a sublime 147 maximum break during his first round clash with Neil Robertson at the ManBetX Champion of Champions in Coventry. The break came in the second frame of the best of seven tie and is the third 147 of Selby’s career. He went on to suffer a 4-3 defeat at the hands of Australia’s Robertson. It had been five years since Selby last constructed snooker’s perfect break in tournament play. The last time he achieved the feat was at the 2013 UK Championship, where he fired in the 100th ever official maximum break during his semi-final win over Ricky Walden. This effort is the 144th ratified competitive maximum and leaves the total just three short of the magic 147 mark. There is no denying that BH has revived a dying tour and that the various subplots that the current calendar creates add interest to the season, although, as Hector Nunns explains in the last Snooker Scene issue this has not resulted in added interest from the media. But however Hearn wants to present the situation, it’s a fact that the current system doesn’t seem to help young players to develop. Kyren Wilson and Jack Lisowski are 26 and 27 and those are the only two non-asian seen as stars of the future. At that age Ronnie, Williams and Higgins all were World, UK and Masters champions. Part of the issue is that snooker is declining at grassroot level, partly because of cultural factors, partly because the pro-am circuit has shrunk to a misery. There are many reasons for the latter, including the fact that the PTC tour has, in its time, attracted most of the amateurs interest … and money, and the fact that a busy professional tour means that the pro don’t have time for many pro-ams anymore. The flat draw has his advantages, notably it gives lower ranked players the opportunity to play the top guys, and some television exposure. But it’s also a very brutal system, especially with no money for first round losers. It can be dispiriting – many players have been open about anxiety and depression in the last years – and, in my opinion, it does not favour players development which is a real issue as the young ones coming through the amateur ranks are not properly prepared for the pro tour because of the decline of the grassroot circuit. I would be strongly in favour of a return to a tiered system, maybe in a slightly different form (*), in at least half of the main tour events. (*) more on that in a future post.